Recently, I was able to take my kids to the South Valleys Regional Sports Complex Reno Nevada near the South Valleys Library. As my wife had an event to attend at the same time my oldest daughter had soccer practice, this provided an opportunity with my other two kids to visit this playground area of the South Valley Regional Sports Complex between the upper and lower soccer fields. This playground is suitable for ages 2 years-old and up. My 6 year-old and 3 year-old found a lot to do while we visited. They have various structures of varying ability, a spider dome/bar climbing structure (I had one of these at my elementary school while growning up and it brought up a memory or two on the playground at school), a rock climb/stair climb, swings for toddlers/babies, slides of varying height, speed and incline, tubes for little ones to climb through, spinning match games and more. My son found a little Easter Egg underneath the rock climbing stair structure, a velociraptor skeleton to look like a fossile in rock molded into the rock wall plastic. 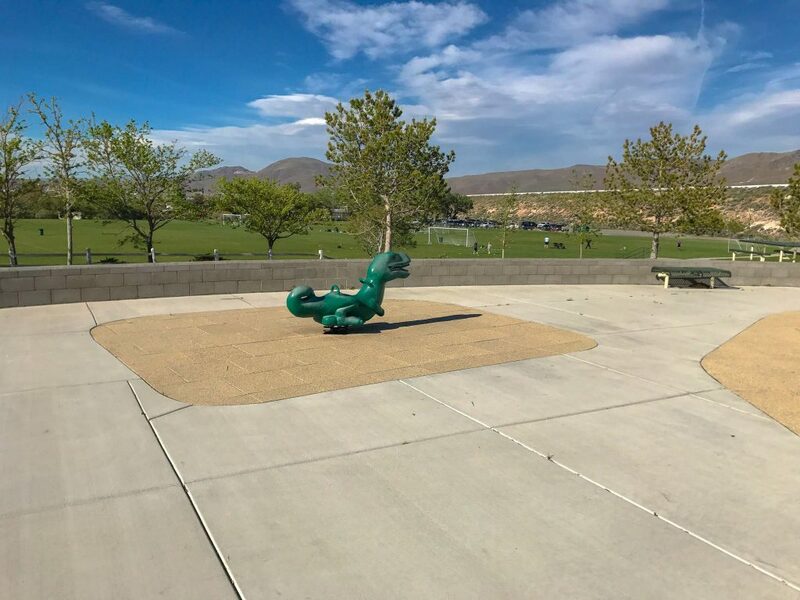 When it comes to swings at the South Valleys Regional Sports Complex Reno Nevada, this playground only houses two toddler/infant swings. Swings that are suitable for very young children. Unfortunately, there are no swings for older children here. However, there is a dinosaur rocker nearby that children through the age of 10 years-old can enjoy in lieu of swings for older children. For as much as this playground contains, this is one item necessary for nearly any playground where it is sorely lacking. Perhaps, if there is every an expansion of the playground area, this could be something for City of Reno officials to add to the playground area. While we were there, we found a couple of broken items on the playground, a wheel that was missing to power a spinning piston engine (it was about 8 pistons in a see-through view with gears that would spin to power the pistons), a platform with caution tape and some other things missing their steering wheels to spin them. With a minimal budget for park maintenance at the City of Reno, according to the Reno-Gazette Journal as recently as December 2015, it is understandable why these items were broken and I imagine that they will remain broken and in disrepair for some time until city parks are a focus in the city budget. 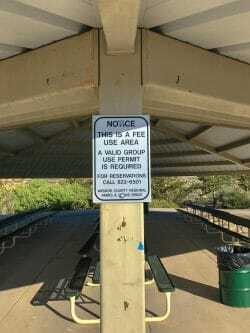 Given all of these things, however, the park is maintained when it comes to regularly mowed lawns and no refuse outside of garbage cans and there is no sign of spray paint on anything at the park (sometimes tagging can happen to parks). So, the park is visibly pleasant to attend, overall. Some of the larger play structures at the South Valleys Regional Sports Complex Reno Nevada playground may require adult supervision for younger children. My youngest is 3 years-old at the time of this article and she had no problem navigating the playground equipment. However, there were some larger items where I wanted to play the role of helicopter parent and hover over her as she scaled things like the rock climb stairs and the spider/bar dome. 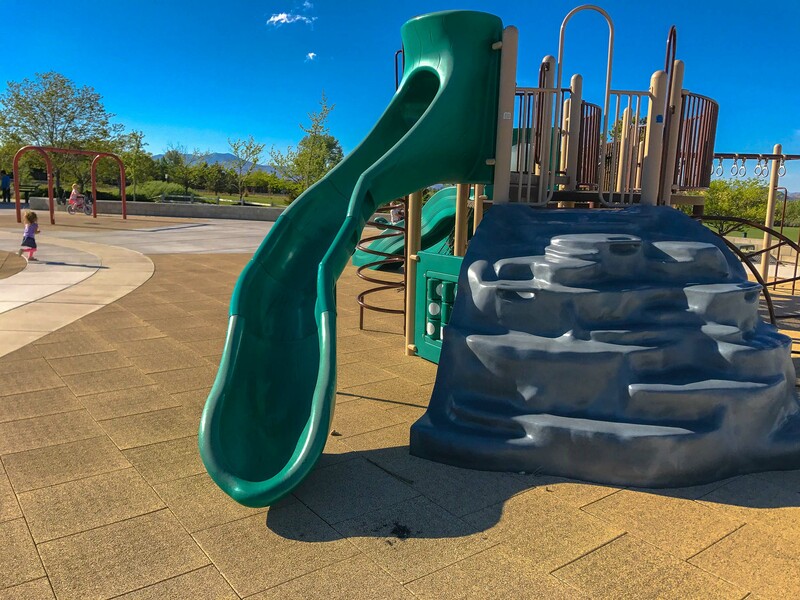 Not all things here at this playground will let you, as a parent remain carefree as to the safety of your child, but with increased potential hazards, the more likely an older child will find joy and adventure on those items that were difficult to scale when they were younger. So, overall, it is a trade-off, safety for fun in this case. 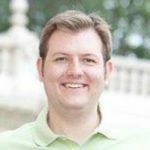 Like I wrote above, however, my child of 3 years-old was able to use everything, it was only in some cases where I wanted to be close by in case she happened to slip off of a bar or stair. There are also two covered areas that you can reserve with the city for special events and occasions like outdoor picnics, birthday parties or maybe a family reunion. One of these covered areas has a barbecue pit for charcoal briquettes and nearby there is a lot of wide open area covered with grass for a game of catch, Frisbee or toss with a football. Both above and below the South Valleys Regional Sports Complex Reno Nevada playground area are soccer fields that are used nearly every day of the week for practices with Great Basin Youth Soccer teams or games on most afternoons of the week and on Saturdays. Most of these fields will be reserved, so, they may not be free to play on in any given day, but occasionally you may find an open field to play on if you bring a ball or kite to the park. Just be prepared to be asked to move off the field if it is reserved by a team for practice or a game. Speaking of Frisbee, down in the canyon adjacent to the South Valleys Regional Sports Complex Reno Nevada playground I found a pole with chains on it that is used for Frisbee disc golf. I imagine this pole is a part of a larger Frisbee golf course that is 1 of 4 courses located in the Reno and Sparks area according to the Reno Disc Golf Association, and I could only see one other pole in the distance in this canyon near the hill that leads up to the I-595 freeway, and there are others poles that constitute an entire course. The area has a lot of vegetation (sagebrush and other desert plants) so if you happen to lose a Frisbee disc you may not be able to find it easily. If you are interested in playing “Disc Golf” at this location, check out the Facebook group for the Reno Disc Golf Association and join with others who enjoy the sport. 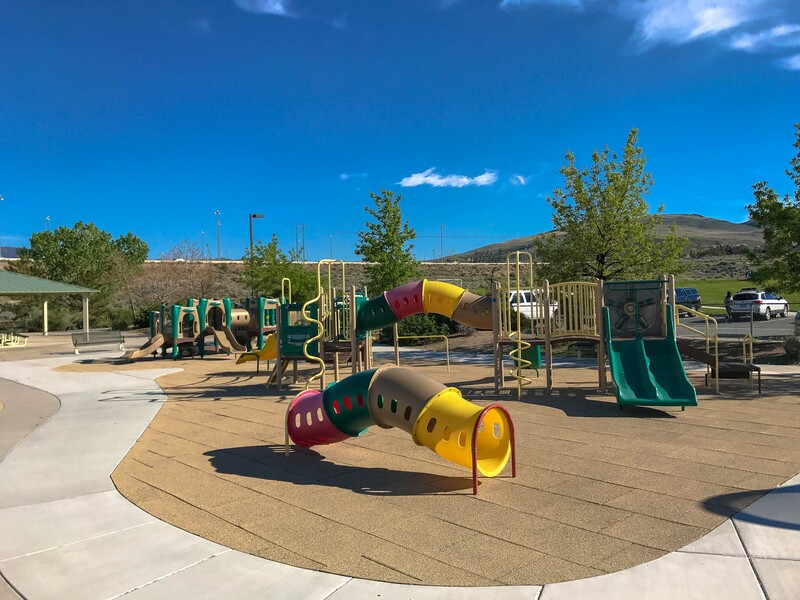 Finally, as this location is close to the Washoe Little League fields there is another playground near those fields close by. 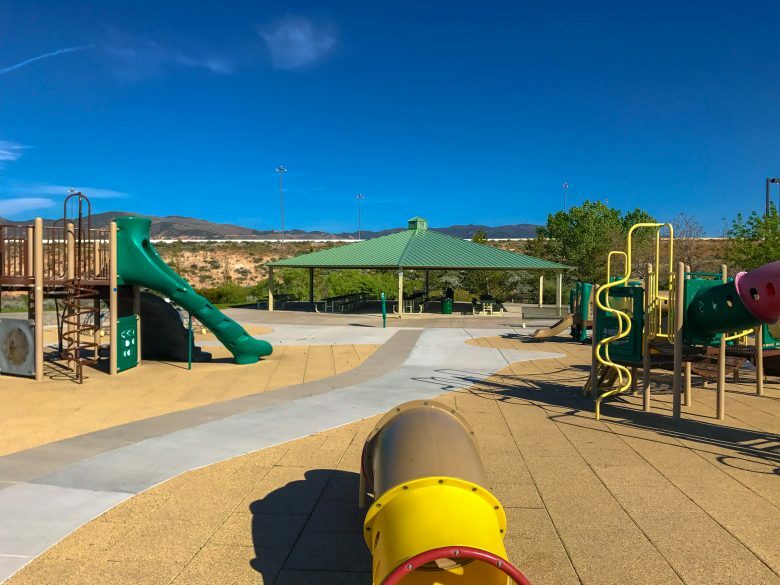 Please note that you cannot play on the Washoe Little League baseball fields as they are only reserved for the little league, but you can find others in the area where you can play like the fields at Shadow Mountain Sports Complex in Sparks or Idlewild Park. 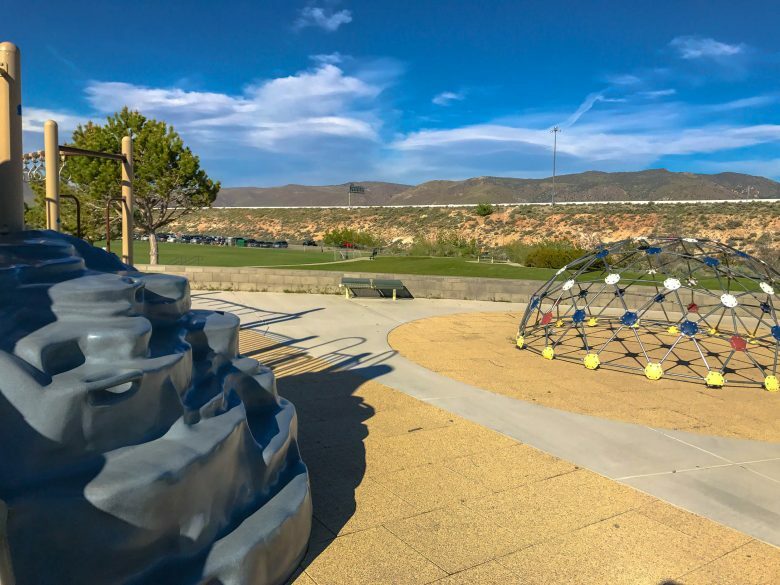 Overall, my kids were easily entertained at the South Valleys Regional Sports Complex Reno Nevada playground and there no complaints from either of the two kids in the hour that we spent there during my oldest daughter’s soccer practice this past week. We saw another parent bring a picnic for one of the covered areas and then their kids played afterwards. 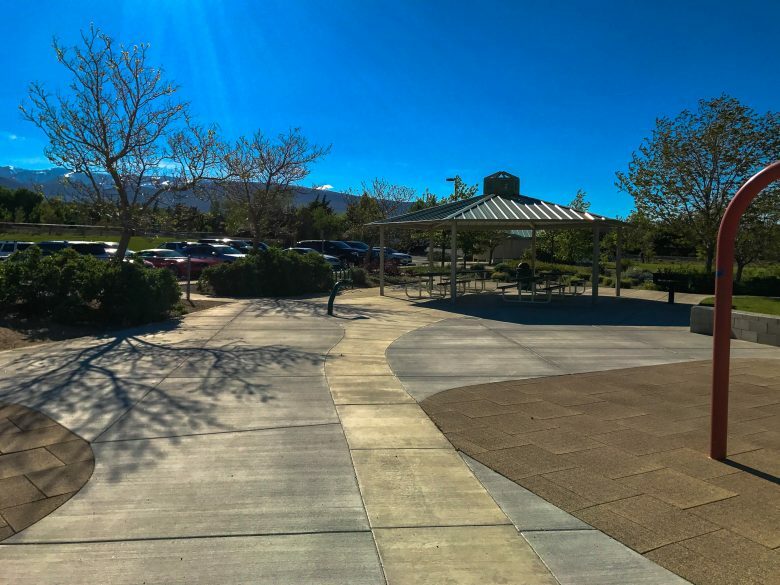 If you’re looking for another park to visit in Reno Nevada, this is a good stop because it is clean, has structures for children of varying abilities and there is a lot of open space for any activities where you might need space like a game of catch or to fly a kite (it’s nearly always windy in Reno, Nevada which makes a day to fly a kite almost every day of the year). 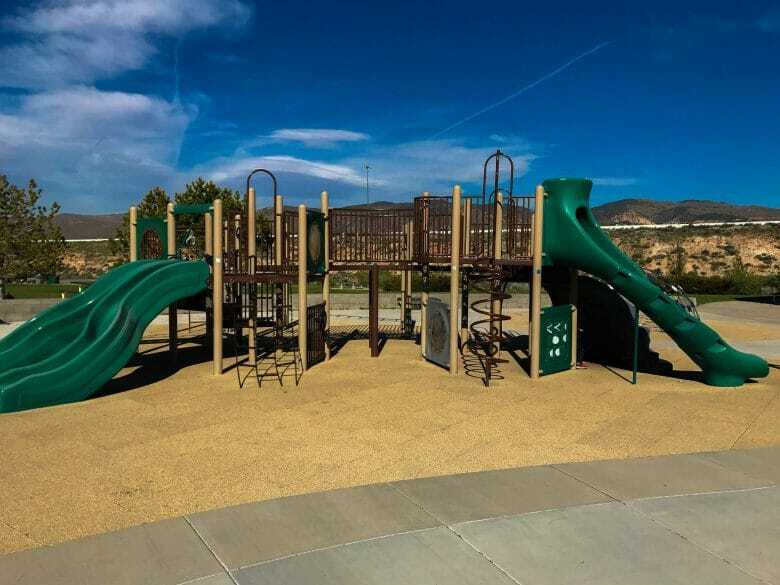 We hope you can check it out and if you have visited this park/playground at South Valleys Regional Sports Complex Reno Nevada in the past, please, give us your thoughts. How did you feel about it after your visit? 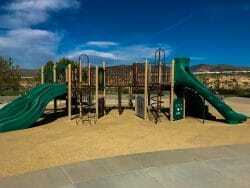 Do you enjoy visiting the South Valleys Regional Sports Complex Reno Nevada? We want to know. 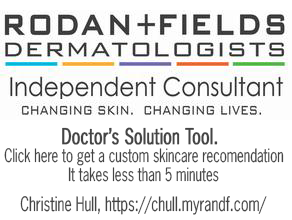 Where: 15650 Wedge Pkwy, Reno, NV 89511. 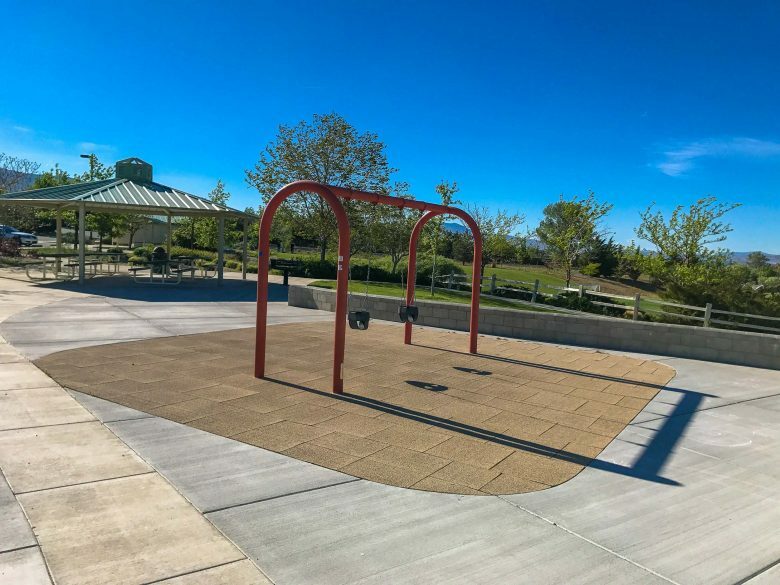 What: Playground, park, soccer fields, Frisbee disc golf, horseshoe pits (near the little league fields), volleyball courts (near the little league fields), Washoe Little League fields and covered table areas available by reservation with the City of Reno at (775) 823-6501. 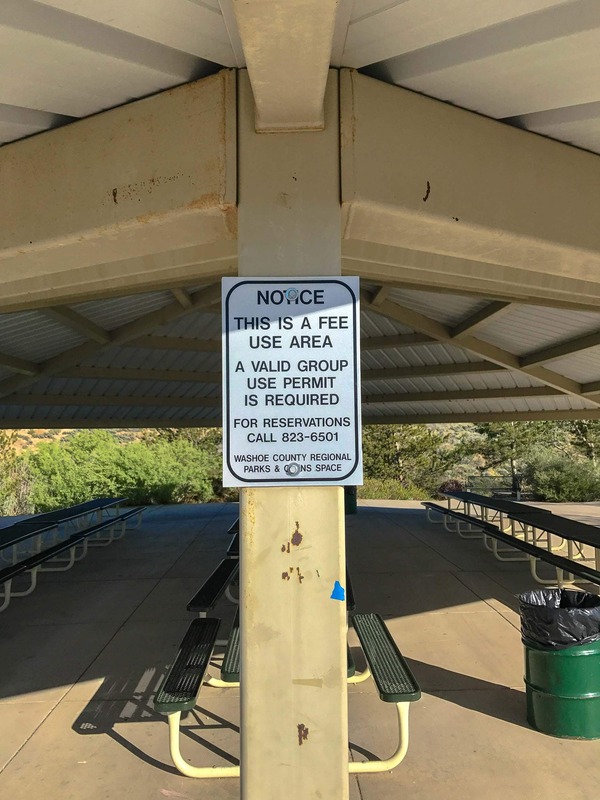 Need to know: When visiting the South Valleys Regional Sports Complex Reno Nevada, bring a picnic, bring a kite on a windy day, bring a ball to play catch and if you reserve a covered area with a barbecue pit, bring charcoal briquettes and anything else you need to get a barbecue going.